Abby makes pictures of a magnificent thunderstorm at the Texas/New Mexico state line. My wife Abby and I have just returned from a Santa Fe getaway. I don’t want to give too much away, except to say that we had a great time. The trip report is here (link). 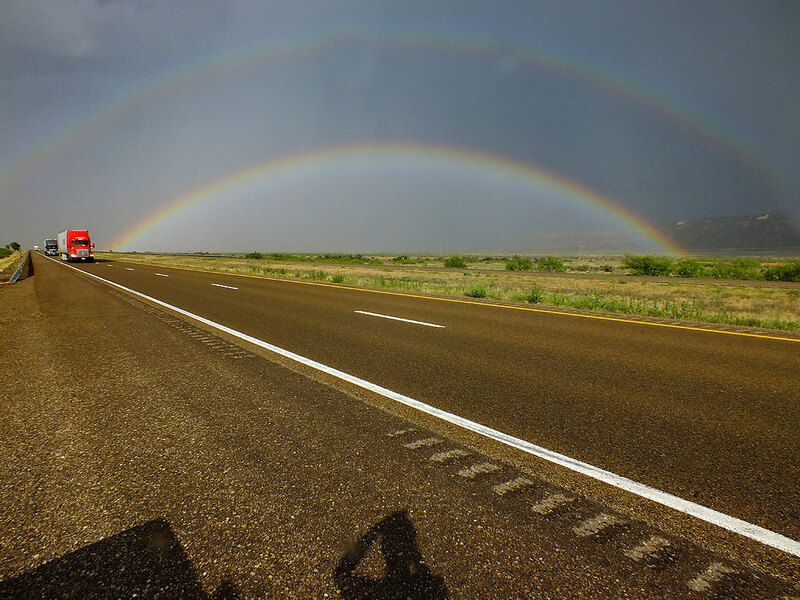 Despite rain still falling on us, I got out of the truck to photograph this amazing double rainbow on Interstate 40 in eastern New Mexico. It was just the start of a great week on the road. 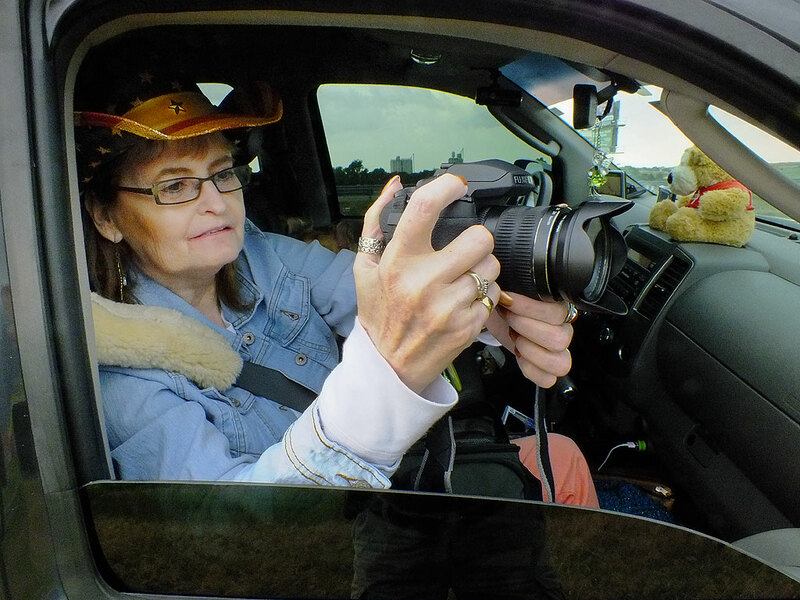 Eagerly awaiting the trip report and the photos. Glad you were able to get away.